Under this offer, tickets on routes like Hyderabad to Vijayawada, Delhi to Dehradun, Guwahati to Kolkata, Ahmedabad to Mumbai, and Bangalore to Hyderabad all are priced at Rs. 1699 all-in. International flights start as low as Rs 3,799 all-in for Delhi to Kathmandu, with discounted fares available on most other international routes too. A total of 1,00,000 seats are available on sale. 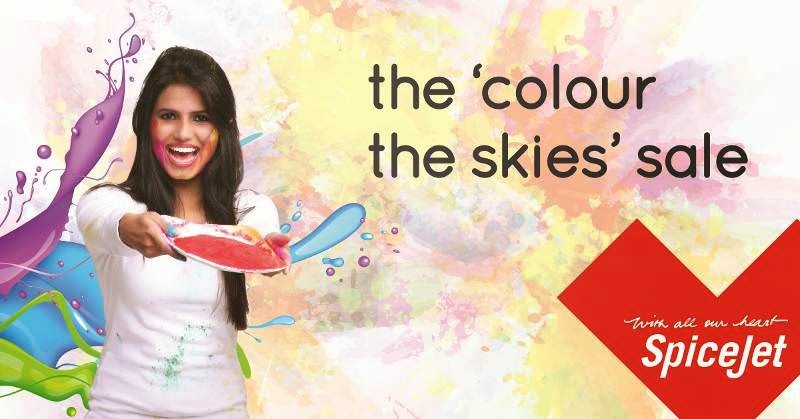 “SpiceJet’s the ‘Colour the skies’ sale gives our customers the chance to celebrate Holi and spread joy and colour more widely as they can now make almost immediate travel plans to visit places, friends, family, relatives, or just to get away for a short break. We have extended 1,00,000 seats on offer at unbeatable fare. This is SpiceJet’s way to thank our customers who have supported us during challenging times which are now behind us. SpiceJet’s low fares have made it possible for many customers to travel more often and have also attracted many first time flyers as well which is benefiting the entire travel eco-system,” said SpiceJet’s Chief Commercial Officer Kaneswaran Avili. SpiceJet is now synonymous with Holi, and how could we not celebrate it in our own special way?” stated Sanjiv Kapoor, SpiceJet’s Chief Operating Officer. “Those who fly us on Holi itself will also get to celebrate the festival with SpiceJet, making the day special and memorable for young and old alike”, he added. Since there is limited inventory under the offer, it will be available on first-come-first-served basis and is not applicable on group bookings. Fares vary from sector to sector depending on the travel distance, and flight schedules and timings are subject to regulatory approvals and change(s).